In the market for free sales leads? Check out the ReferenceUSA Database! If you’re a local service provider, ReferenceUSA’s database U.S. New Movers/Homeowners is a great resource for your small business. Offering hundreds of thousands of new additions each week, ReferenceUSA’s research teams monitor public records to reveal where people are moving throughout the United States. So, how exactly is this good news for your business? Philadelphia is a city of neighborhoods, and faced with an almost overwhelming number of choices, many residents choose local service providers. 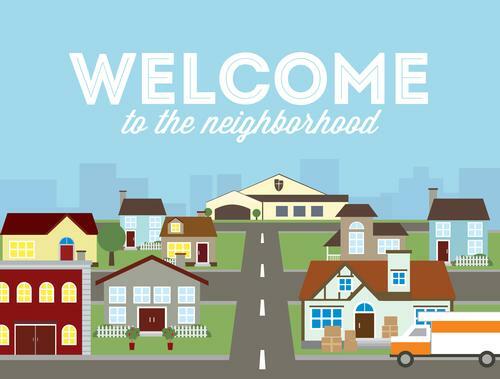 By creating a custom search, you can monitor new arrivals in your neighborhood, create custom mailing lists, and be the first to welcome new neighbors. Contractors, doctors, hairstylists, yoga studios, and other businesses can get their foot in the door right away with potential clients who are new to the area. It’s also a great way for local community organizations, such as churches or neighborhood civic associations, to greet potential members. Not only is this a really robust database, it’s also very user-friendly. After navigating to ReferenceUSA from the Free Library’s database portal, select “U.S. 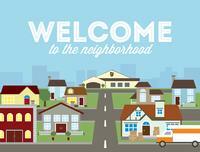 New Movers/Homeowners.” From there, you can create a custom list using the "Advanced Search" tab. You’ll see that there are many options to choose from, but the most universally useful will be "Geography," "Residential Details," and "Relocation Details." Using these features, you can limit your results by area (through zip codes or a map-based search), by whether the new resident is a homeowner or renter, and by move distance and time frame. Time frame is especially useful, as you can begin monitoring your neighborhood for new additions based on when they’ve moved, so you won’t be sending duplicate flyers to the same individuals. Once you’ve created the perfect search, click on the green "View Results" button. You can download up to 150 results at a time and export these results into a spreadsheet with customizable fields. There’s also a new feature that allows you to save your search, so when you check back next month you won’t have to re-enter any information in the search field! Access to ReferenceUSA’s databases is available for free at all Free Library of Philadelphia locations, as well as from home with your library card and pin number. For more information on how ReferenceUSA can help grow your small business, check out the Business Resource & Innovation Center at Parkway Central Library! Add a Comment to In the market for free sales leads? 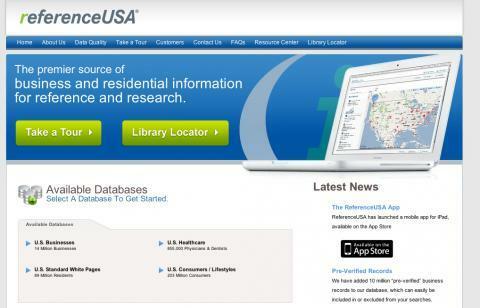 Check out the ReferenceUSA Database!